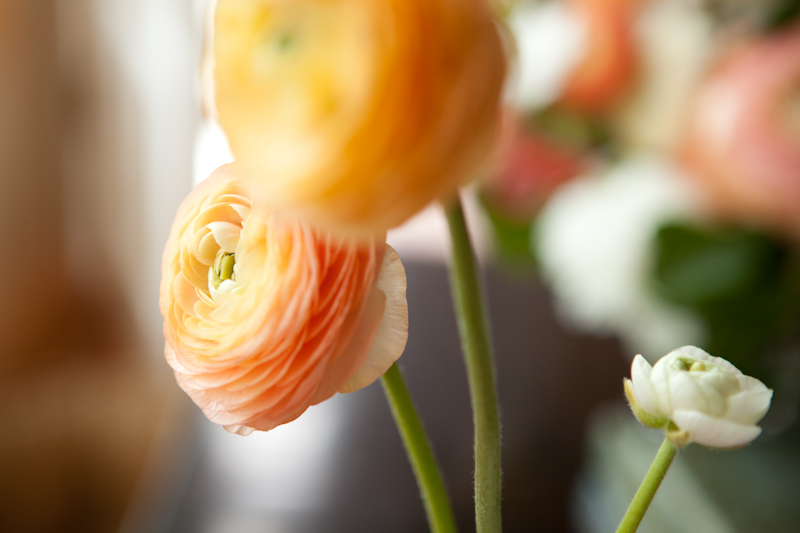 I had the pleasure of teaming up with Tara McHugh Flora recently to photograph some flowers at her home. Tara is a sought-after Victoria wedding florist, with an earthy and sophisticated style, who is known for her warmth, calmness and professionalism. Her work has been featured in Wedding Bells Magazine, Fab You Bliss Magazine, Trendy Bride, among others. I met Tara through Victoria Women of Weddings. We chatted at the Butchart Gardens WoW event in March about an idea she had for a series of blog posts, so we got together a few weeks later to see what we could come up with. When I arrived at her beautiful home, she greeted me warmly and we drank some delicious coffee and chatted a bit before getting down to business. And when I say business, what I really mean is before we enjoyed an afternoon of staging and photographing beautiful flowers. As a creative person, and a bit of an introvert, I was once again reminded of how wonderful it is to work with other people on collaborative projects. Tara herself has a great eye for photography, and a beautiful artistic sense which she showcases on her blog and facebook page, so it was interesting for me to hear about how she photographs flowers for herself. And sometimes, it's just fun to play and try something new. 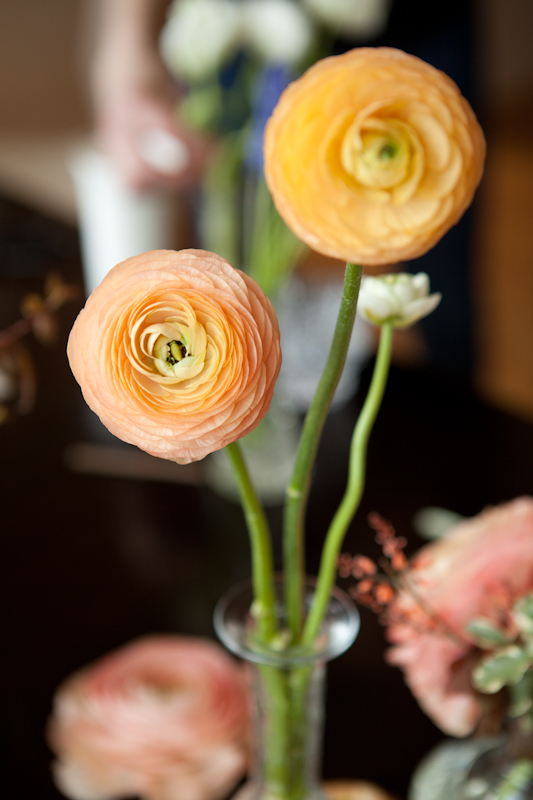 I really enjoyed getting to know Tara, working in her sun-soaked dining room, and also discovering my new favourite flower, ranunculus! I look forward to working with her again soon!